New Zealand Tertiary College (NZTC) is a private tertiary education establishment specialising in early childhood teacher education. Campuses located in Auckland and Christchurch. Qualifications ranging from Level 5 to Level 9: Diplomas, Bachelors and Masters Degrees. All of NZTC’s qualifications are approved and accredited by the New Zealand Qualifications Authority. Graduate Diploma in Teaching (Early Childhood Education) and Bachelor of Teaching (Early Childhood Education) are approved by the Education Council of Aotearoa New Zealand, which means that graduates are eligible to apply for teacher registration in New Zealand. Students are achieving excellent results. NZTC has consistently exceeded sector medians for the last three years, benchmarking itself against other institutes. Education and training programmes deliver valued outcomes to the students, their families, graduates and the early childhood education sector, and positively contribute to New Zealand. The college has succeeded in forging strong reciprocal relationships with the early childhood education sector. Early childhood education centres provide opportunities for students to put into practice the knowledge and skills learnt on the courses through employment, voluntary or fieldwork situations. The college is innovative, as shown by the huge investment in online delivery and support, the approach to qualification staircasing from certificate to postgraduate levels, varied delivery modes and international relationships. New Zealand Tertiary College (NZTC) is an established private tertiary education provider and has been providing comprehensive and professional programs to enable students to excel in their chosen field of study for over 35 years. All of the college’s early childhood education qualifications are approved by the New Zealand Qualifications Authority (NZQA), and range from diploma to master’s level. NZTC’s programs are internationally recognised and they deliver them not only throughout New Zealand but throughout the world with NZTC Global. NZTC has campuses in Auckland and Christchurch, and an office in Mumbai, India to support NZTC India students. NZTC is guided by its mission statement, which provides a clear direction for all of the college’s present and future activities. "New Zealand Tertiary College values people and is committed to empowering students to care, educate and serve meaningfully and effectively by providing comprehensive and professional programs." Four values underpin NZTC’s mission statement and act as constant reminders of the priorities for everything the college does: Vision (Te Mata), Heart (Ngākau), Competence (Poutama) and Spirit (Wairua). 95% of NZTC graduates recommended studying with the college (NZTC 2014 Graduate survey). 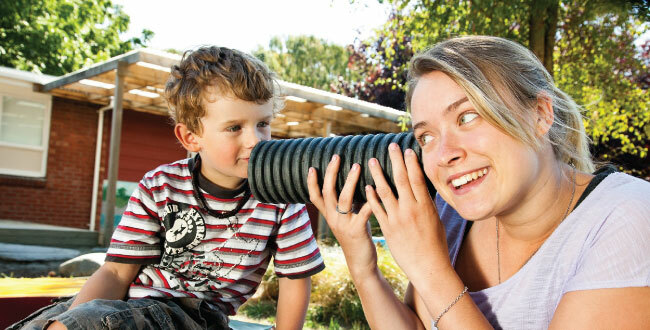 National Leader: NZTC has been specialising in early childhood teacher education for over 35 years, offering comprehensive and professional programs that reflect the evolving needs of the early childhood education sector. Quality Assurance: All of NZTC’s qualifications are NZQA approved and internationally recognised. Flexible Modes of Learning: NZTC offers a number of learning modes to suit your learning style and lifestyle – Online, Blended Learning, and College Based. NZ Teacher Registration: Graduates of the Bachelor of Teaching (Early Childhood Education) and Graduate Diploma in Teaching (Early Childhood Education) qualifications are approved by the Education Council of Aotearoa New Zealand (Education Council), meaning that graduates are eligible to apply for teacher registration. Teacher registration and certification improves job prospects and residency applications if you are an international student wishing to live in New Zealand. NZTC has campuses in both the North and South Island of New Zealand. Our North Island campus is located in Auckland, the largest city in New Zealand with a population of more than 1.4 million people, and our South Island campus is in Christchurch with a population of more than 350,000. Both campuses are centrally located and easily accessible using the public transport system. 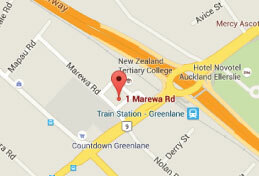 New Zealand Tertiary College (NZTC) A student advisor will be in contact within one working day.